The Ethiopian People’s Revolutionary Democratic Front (EPRDF), the country’s ruling coalition is facing an internal crisis which has led to Members of Parliament (MPs) belonging to two main blocs – the Amhara and Oromia, boycotting parliament, the BBC Africa Live page has reported. The coalition in a statement released on Wednesday admitted that it was facing gradual ‘mistrust and suspicion’ among the four main blocs. OPDO, ANDM, TPLF and SEPDM. Twenty four later, members of the Oromo People’s Democratic Organization (OPDO) and the Amhara National Democratic Movement (ANDM) boycotted parliament calling for Prime Minister Hailemariam Desalegn to give an explanation on escalation in recent deadly violence. The statement according to local media sources went on to assert that a weakness of the executive arm was responsible for the current state of affairs. It said the ‘weakness of the executive’ had contributed significantly to the deteriorating security across the country. The other two EPRDF parties are the Tigrayan People’s Liberation Front (TPLF) and the Southern Ethiopian People’s Democratic Movement (SEPDM). The coalition holds 100% seats of the parliament. The security situation in Ethiopia is a mix of anti-government sentiment on one hand, ethnic clashes affecting two major regions and a deadly turn of events across some universities in the Horn of Africa country. Most universities affected by serial deaths of students have closed down due to a lack of conducive atmosphere for studies. The government has said that the deaths were politically inclined and that it was doing everything possible to remedy the situation. Then last week, sixteen people were reportedly shot in the town of Chelenko in the Oromia region. The regional communications chief blamed it on federal security forces who opened fire on protesters unhappy about the killing of a resident. The government says it has opened a probe. 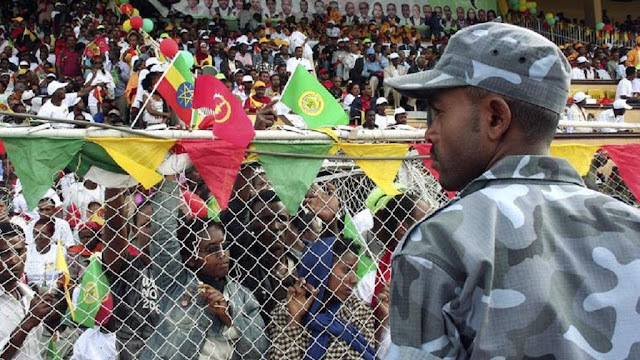 Then there is the border tensions between the Oromia and Ethiopia-Somali regional states. An escalation in the age-long tension late last week led to the deaths of 61 people on both sides. Scores were also reported to have been injured, houses burnt and hundreds internally displaced.